Peacebuilding cannot succeed if half the population is excluded from the process. 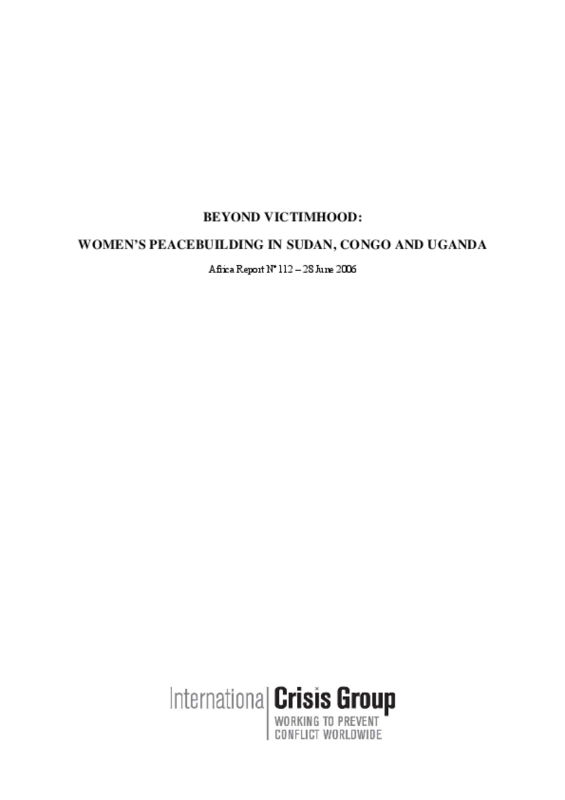 Crisis Group's research in Sudan, Congo (DRC) and Uganda suggests that peace agreements, post-conflict reconstruction, and governance do better when women are involved. Women make a difference, in part because they adopt a more inclusive approach toward security and address key social and economic issues that would otherwise be ignored. But in all three countries, as different as each is, they remain marginalised in formal processes and under-represented in the security sector as a whole. Governments and the international community must do much more to support women peace activists.